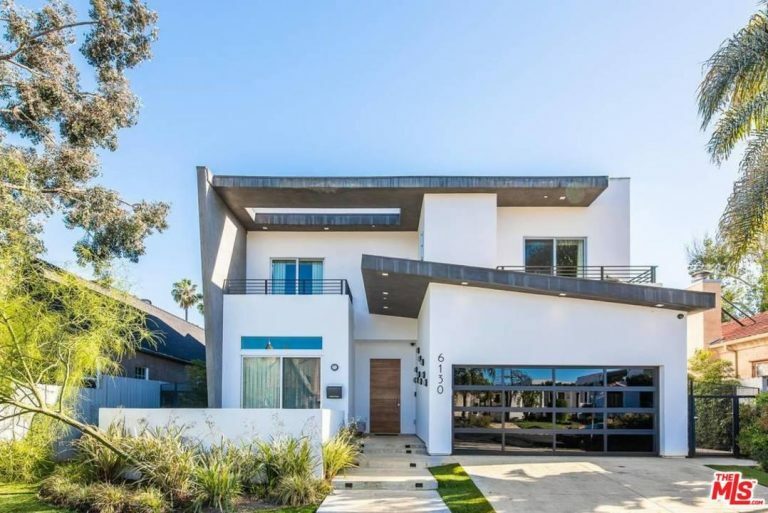 Selena Gomez is selling her Tarzana, CA ‘starter home,’ asking $3,495,000 for the stunning 6 bedroom, 8 bathroom, 6,630 square foot compound. The Disney star, turned rehab-attending Justin Bieber ex-girlfriend has had a rocky year, filled with salacious tabloid headlines. With all of that (hopefully) behind her, Gomez is making changes on the home front. First, she fired her parents as her management team. Second, she bought some brand new digs. In March 2014, she paid $3.69 million for a gated mansion in Calabasas – the very same LA suburb where ex-bf Justin Bieber terrorized his neighbors before subsequently selling his sprawling pad to none other than Khloe Kardashian. 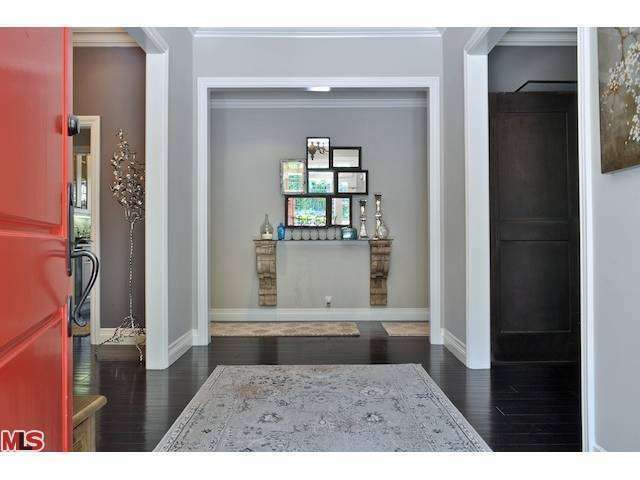 Now that she’s nestled into a Bieber-free Calabasas spread, she’s selling the home she’s lived in since July 2011, when she paid $2,175,000 for the pad. In the time she’s owned it, the multi-winged house has gotten some upgrades, additions and remodels…thus the much-higher asking price. 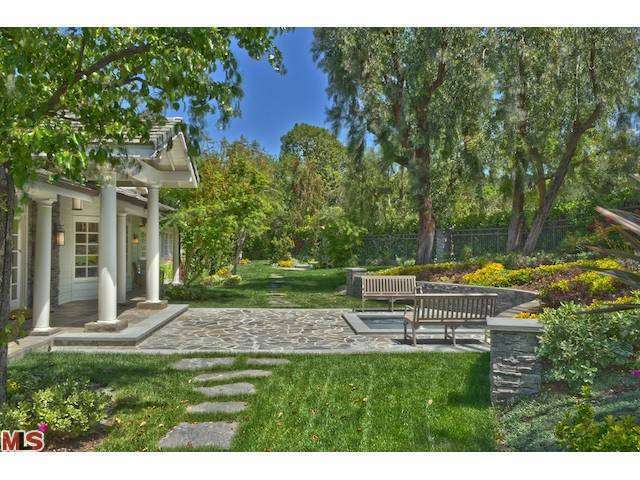 Now, Selena’s new-to-the-market home is a gorgeous and luxurious ‘compound’ on an entire acre. A lavish upstairs guest suite has its own separate entrance, a full kitchen, two bathrooms, two walk-in closets, and is encircled by a balcony that overlooks the entire grounds. The newly built downstairs media room has a bar that opens to the outdoor BBQ and firepit lounge area – perfect for parties! 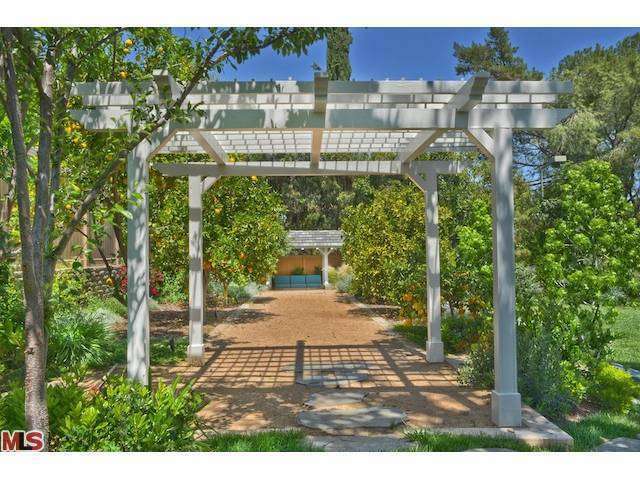 Outside, there’s a pool, spa, shaded outdoor pergola, Bocce Ball court, fruit tree orchard, full basketball court with lights, plus additional room for a full tennis court. 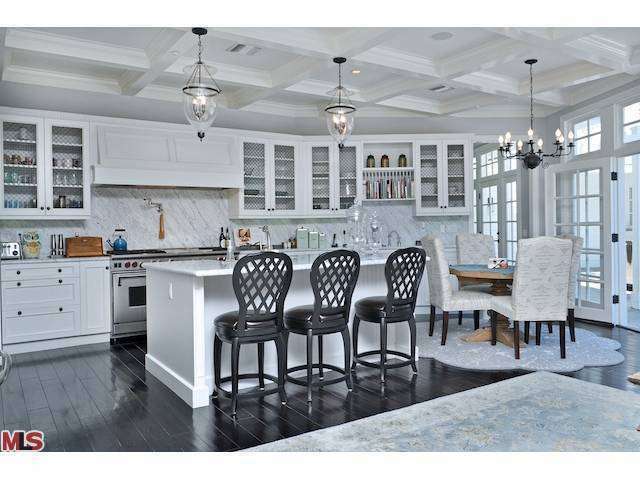 Images via listing agent Craig Knizek of The Agency. The supermodel and her baller boyfriend have a sweet new pad for the summer. 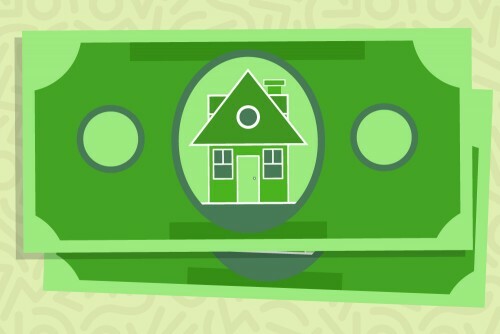 Insane prices, zero inventory, bidding wars, and more: Would-be homeowners, we feel your pain. 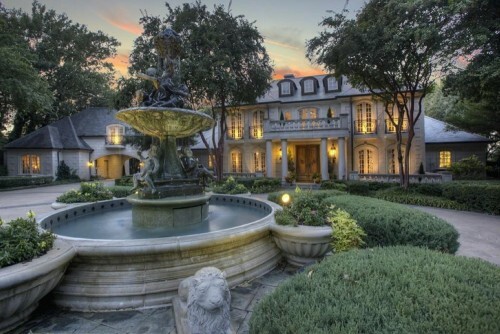 These 7 abodes make a big splash with landmark-worthy outdoor fountains. The “Fashion Police” co-host is comedy royalty, and her new mansion is certainly fit for a queen.